Get the best of surf ‘n turf at the Malaysian branch of the famous Mayfair stalwart- it doesn’t get more decadent than lobster chunks on thick beef patties. 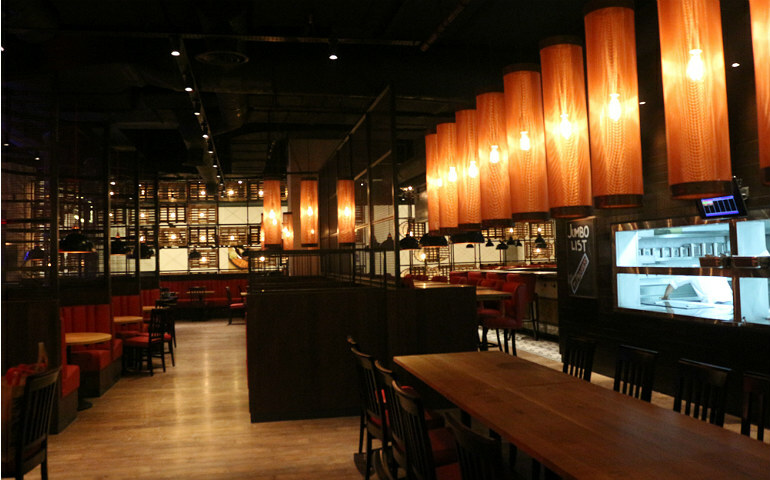 Originally a London favourite, Burger & Lobster had foodies abuzz when their first Southeast Asian outlet opened in SkyAvenue, Genting Highlands. Nova Scotian lobsters are a highlight here and they’re transported live from the Atlantic, ensuring diners get the shellfish at its freshest. 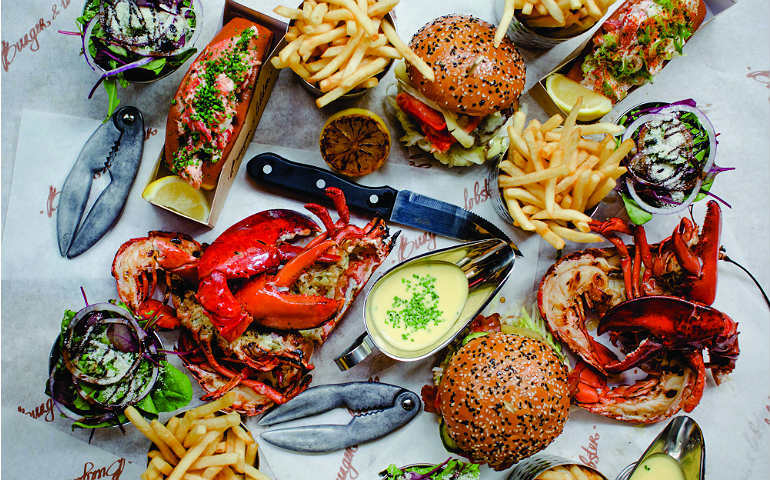 The first Burger & Lobster started out in a small Irish pub in Mayfair, and the Genting branch stays true to its origins; the interior is intimately lit with small wooden tables and red booth seating, and it’s constantly humming with chatter and activity. The lobster tank wall at the entrance is also an attraction as patrons flock to marvel over the size of the crustaceans within. The menu largely follows the original with their signature burgers, lobsters and lobster rolls, but the Chilli Lobster and Durian Tempura, along with the Timekeeper drink (black tea, calamansi lime, kaffir lime leaf, palm sugar) are Resorts World Genting creations and are only found in the Genting and London outlets. Our orders arrive soon after we don our plastic bibs, and we first dig into the Seven Samurai lobster roll, so named for its ‘seven spices’ sauce. The buttery toasted brioche bun is filled to the brim with lobster chunks – surprisingly cold, like a salad – slathered in the sauce, with a dash of spice sprinkled over the top for some heat. Easy to eat and best for small eaters like myself. The B&L Burger is a combination of beef and lobster meat that will satisfy any burger lover. The thick patty is made by Genting’s own production kitchen and is deliciously fulfilling with a smoky aftertaste, while lobster chunks on top add a welcome briny taste. We could have done with a bit less of the tarragon and truffle sauce, but it’s a burger worth its salt nonetheless. Both the burger and the roll come with fries and salad on the side. You’ve got to be willing to get dirty for good meat with the Chilli Lobster, served hot in a clay pot. The claws and limbs have to be cracked yourself, but the lobster body is halved for easy access. 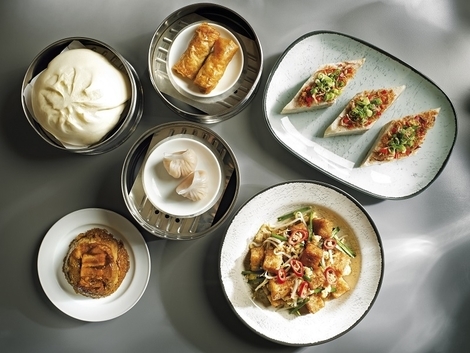 The sweet-sour chilli paste is a Resort Seafood specialty and complements the tender lobster meat well; there’s even toasted brioche on the side to mop up all the good stuff. It’s an enjoyable way to sample lobster in three different ways, particularly in cold weather, and makes a great place to go to celebrate your special occasions (or casino winnings) in style. Don’t be shellfish; bring your friends to share as portions can be big! Walk-ins only. 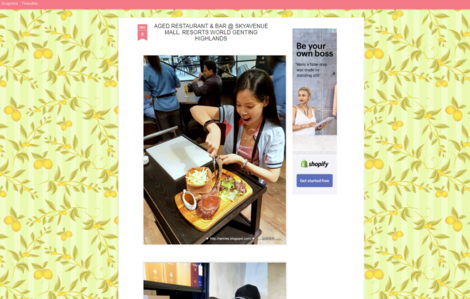 Pahang Food Promotion at Coffee Terrace as low as RM24! At the top floor of the lifestyle mall SkyAvenue, Resorts World Genting has gathered the best of Malaysian cuisine for a special treat featuring five zones-Kuching, Malacca, Ipoh & Penang, Little India and Petaling Street where you’ll be spoilt for choice. 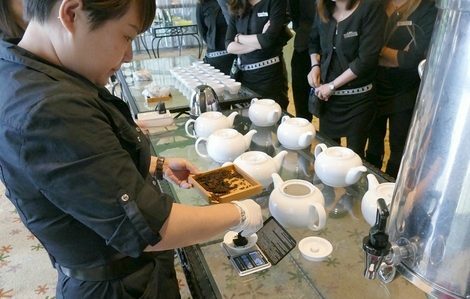 Tea connoisseurs would take delight in the refined elegance of Goh Tong Pu Er Tea, a pride of Resorts World Genting that is definitely worth sipping. 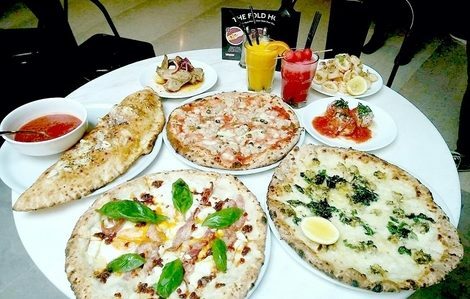 Hailed as the best authentic Neapolitan Italian pizza restaurant in New York by the New York Timesfood writers, Motorino has quickly won the hearts of visitors at Resorts World Genting with its excellent pizza.